So how do you know what’s good when buying a powerbank? Check out our buyers guide. There’s little more annoying than watching the battery on your smart phone or tablet run out before your eyes. It’s guaranteed to happen when you’re waiting for that all-important phone call, urgent email or just as you’re about to take the perfect photo. Having a powerbank on hand will ensure you don’t get caught out with a flat battery again. Powerbanks are now readily available on the market but there are a number of important features you should be aware of before you buy. Powerbanks are small enough to fit into your handbag, briefcase and in some cases, your pocket. Whilst smaller is better for portability, bigger could be more important when it comes to capacity. Powerbank capacity is measured in “milli ampere hours” (mah) and different models range from 2,000mah to 20,000mah. For practical purposes, charging an iPhone 5 needs a capacity of about 1,600mah so if you want to charge it once, you’d buy a powerbank with 1,600mah capacity. If you want to charge it twice, you’d need a powerbank with a capacity of about 3,200mah or more. It’s all good having a battery with significant mah capacity but if the battery’s build quality is sub-standard then you’ll be in for disappointment. A poorly made battery loses charge quickly over time and makes a serious difference to the life of the product. Sprout Powerbanks use a high quality Samsung battery that will keep you full of energy more reliably than that next cup of coffee you’re considering. Capacity is also important if you want to charge multiple devices. In this case, you’ll need to add up the individual device battery capacities and ensure you get a powerbank with sufficient capacity to charge them all. If you want to charge more than one device at a time, you’ll also want a powerbank with multiple ports. Powerbanks can be charged using either built-in USBs or cables. The powerbank packs available at Sprout include a micro USB to USB cable for charging and all you will need to charge your device is a USB cable with the relevant connector. The amount of time it takes to charge your powerbank will depend on its capacity. The smaller the capacity, the less time it will take to charge. If your essential need is to have one full charge of your smart phone from the powerbank, then a smaller capacity powerbank will be sufficient. When buying chargers of any type, safety comes first. 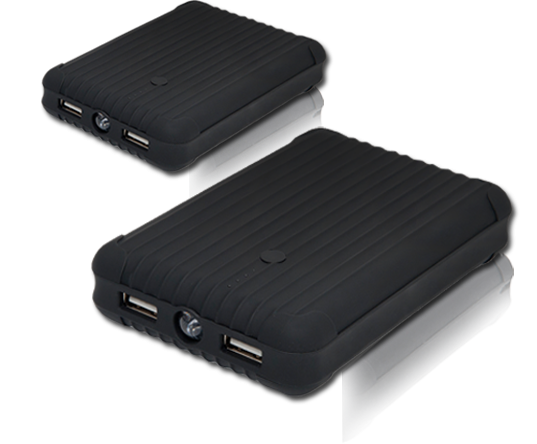 There are many cheap and counterfeit powerbanks which you could be tempted or duped to buy. At best, they may not live up to their mah rating and at worst, they carry a serious safety risk, electrocution being one. Always buy from a reputable seller who will not compromise when it comes to its powerbanks meeting the highest quality standards required. LED indicators to indicate the battery level. Whilst not critical, these features may be attractive and useful to you. If you’re looking to buy a powerbank, Sprout has some in store, the Powerbank, and Powerbank Rapid as well as other types of chargers including AC Chargers for the car. Check out the Powerbank charger range, which can extend the battery life of your devices with a portable charger or check out these 5 major phone charging myths; busted! Sprout is an Australian brand selling enjoyable, state-of-the-art and funky products for your favourite Apple, Samsung and HTC devices as well as other well-known brands.